Shelton, Connecticut is 31.4 square miles at the northeast edge of Fairfield County. One of the fastest growing communities in Connecticut, it is a model for balanced economic growth and stable taxes. 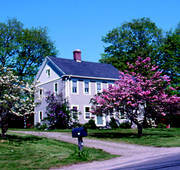 Shelton combines open forest space, farmland and commercial/industrial activity with affordable housing for over 38,000 residents. With forward looking leadership and true community spirit, Shelton is a special place  a caring community of hardworking, innovative people who share the same dedication and values. City of Shelton Official Website.